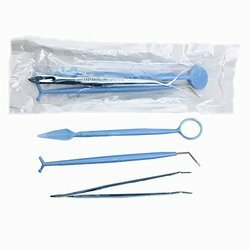 We are a renowned firm, which is involved in importing and trading a wide range of Disposable Surgical Products. All our products are sourced from trusted vendors, who make use of supreme quality raw material to develop their range. Owing to the reliability and eco-friendliness, these products find their wide applications in medical laboratories, hospitals and nursing homes. Clients can avail these products from us at industry-leading prices within the stipulated time frame. This Disposable Razor is well-known in the market for their shaving effect & easy usage. 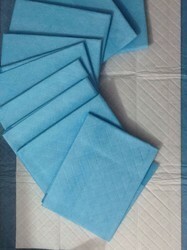 The Sterilization Sheet offered by us are tear proof and fabricated from non-woven material at the manufacturer's end. 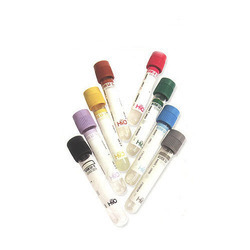 We are leading supplier of Blood Collection Needle. 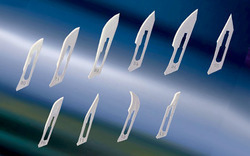 3.1 TOP NEEDLE COVER: Top cover are made of medical grade PP. It give protection to needle from damage. 3.2 LOWER NEEDLE COVER: Lower covers are made of medical grade PE. 3.3 NEEDLE TUBE: Needle tube is made from cold roll stainless steel. The needle tube is thin walled which allows a larger internal diameter resulting in improved flow rate. Needle Tube Sheath, Flexible rubber tube covers the backside of needle tube. This act as end blood stopper when needle is withdrawn from sample tube. 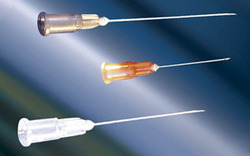 3.4 SILICONISED NEEDLE: To minimize trauma and with short Bevel to minimize risk of vein cross perforation. 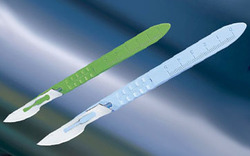 Scalpels Blade with Handle is made from Swiss Steel blades with ergonomically designed handle for better feel & precision. 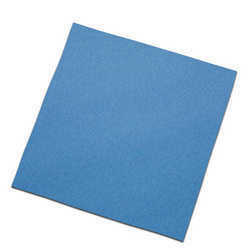 Our domain expertise has enabled us to come with an excellent collection of Disposable Underpad. 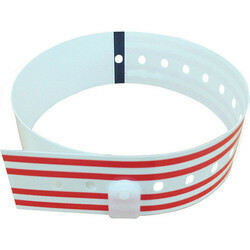 The Identification bands are made from smooth, soft non- toxic vinyl which is comfortable and safe for sensitive skin. 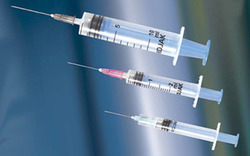 HMD has remarkably taken the challenge of providing solution to problem of unsafe injection practices arising due to use of reused syringes, by presenting for the first time in India KOJAK SELINGER Non Reusable Syringes which ensure against any possible risk of reusage, as its plunger component breaks off in case of an attempt to reuse the syringe. 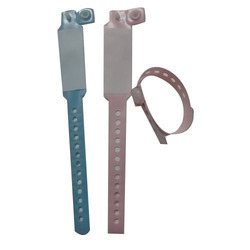 We are offering Hospital Wrist Band, Medical Wrist Band, Patient Tag Patient Identification Bands, Id Bands & Wrist Bands. I-D Bands are made of soft, strong vinyl with a plastic snap closure. Soft Vinyl wristband is comfortable, safe and easy to wear. Backed by rich industry experience, we are presenting a vast variety of Non-Woven Sterilization Wrap. Owing to the profound experience of the industry, we have been able to offer a range of Sterilization Rolls. 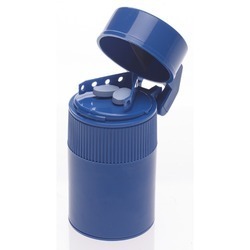 Pill Crusher & Cutter offered by us is available in different sizes as per the need and requirement of customers. Disposable Dental Tool available in sterile & Non sterile , it includes Mirror, Forcep & Explorer. 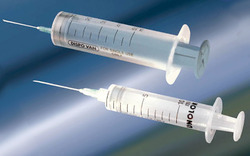 We are leading supplier of Disposable Syringe. 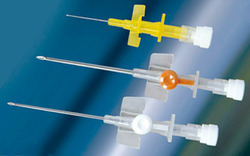 Luer lock Single use syringes with the needle. Secure fitment of needle due to the presence of luer lock. Manufactured as per IS 10258 /ISO:7886-1. We are among the reputed organizations, highly engaged in providing an optimum range of Disposable Needles. 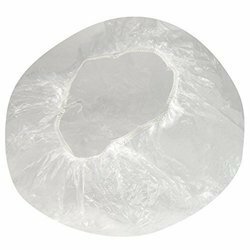 We provide these Disposable Shower Cap to our customer’s in numerous sizes at market rates. 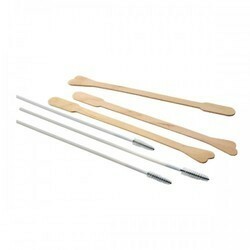 We offer DisposableCytobrush with a wooden spatula, sterile & Non-sterile. We also offer these forceps to the clients at industry leading prices. This product is fabricated with the help of best grade factor inputs and sophisticated technology. 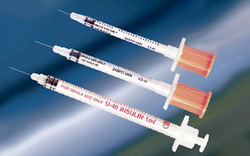 Insulin Syringe is manufactured on totally automated printing, assembly, and packaging lines as per the requirements of the most stringent quality standards. 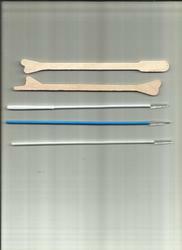 31G x 5/16", 'Super-fine' 30Gx5/16" 'Xtra-fine' 29Gx1/2" needles are siliconised to give minimal pain. Presence of low dead space avoids wastage of medication and ensures accurate dosage. VOLEX proprietary polymer, Cathy I.V.cannula (with/without injection port cap) make a technological leap into the future of medical care with a never-before range of benefits for both, the patients and medical staff. 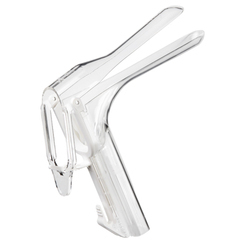 Ease of insertion without peel back-making second and third reinsertions possible without having to throw away I.V. Cannulas on unsuccessful cannulation. Fewer complications-minimizing the risk of thrombus generation while reducing medical costs. With the Blood Collection Tube system, the blood is collected directly into the tube during the venipuncture procedure and is a closed system. Brick Red Stopper – no additive/BCA. Surgical Blade is made from premium-quality, Swiss steel.